In transposing the Freudian dream work from the individual subject to the collective, Walter Benjamin projected a "macroscosmic journey" of the individual sleeper to "the dreaming collective, which, through the arcades, communes with its own insides." 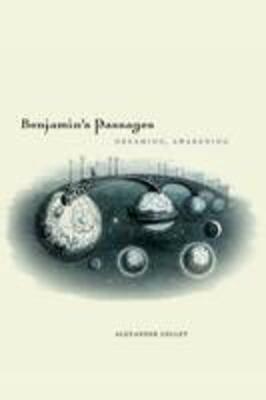 Benjamin's effort to transpose the dream phenomenon to the history of a collective remained fragmentary, though it underlies the principle of retrograde temporality, which, it is argued, is central to his idea of history. The "passages" are not just the Paris arcades: They refer also to Benjamin's effort to negotiate the labyrinth of his work and thought. Gelley works through many of Benjamin's later works and examines important critical questions: the interplay of aesthetics and politics, the genre of The Arcades Project, citation, language, messianism, aura, and the motifs of memory, the crowd, and awakening. For Benjamin, memory is not only antiquarian; it functions as a solicitation, a call to a collectivity to come. Gelley reads this call in the motif of awakening, which conveys a qualified but crucial performative intention of Benjamin's undertaking.